When 15 St. John Valley residents came together 20 years ago to purchase and renovate Fort Kent’s only motel, they did so with an eye on bettering the community. 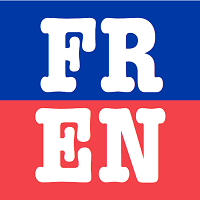 FORT KENT, Maine — When 15 St. John Valley residents came together 20 years ago to purchase and renovate Fort Kent’s only motel, they did so with an eye on bettering the community. Paul Bouchard, one of 13 owners of the Northern Door Inn in Fort Kent, scoops snow near the doorways of the motel on Tuesday, Nov. 27. “The entrances have got to be kept clean,” he said. The Northern Door Inn, formerly Rock’s Motel until the group of local investors purchased it in 1998, has undergone significant changes since then, but continues to serve as a community asset to families, businesses and tourists by providing quality lodging in town. Laurie Michaud, who has worked as assistant manager at the motel for 5 years, said the motel serves a wide variety of patrons. Inn manager Carl Pelletier said that guests throughout the years have come from as far away as Australia, although the majority arrive from someplace or another in New England. Pelletier has been in the hotel business for over 40 years and said he previously worked for a franchise out of Bangor which had a dozen hotels scattered between Maine and Florida. The Northern Door Inn has been open for 20 years and has 43 rooms available to tourists, out-of-area workers and members of the community. “This is the quietest, easiest, nicest place I’ve ever managed,” Pelletier said of the Northern Door Inn. Pelletier, who also serves as the motel’s unofficial local historian, readily provides information about such topics to curious guests — sometimes in the form of computer printouts. “After 13-14 years of the same questions you either learn the answers or something is wrong,” he said. Glass shelving in the lobby of the Northern Door Inn contains a variety of First Mile related souvenirs for sale, as well as stuffed moose and huskies, which are all a hit with out of town guests, according to Michaud.. When the initial group of 15 investors bought the motel, they immediately began a renovation project, expanding the property from 26 to 43 rooms. They also added air conditioning units and invested in a wax room in the cellar of the property to provide service to World Cup Biathlon skiers who competed in Fort Kent in 2004. “You know, with cross country skiing, waxing is the thing,” Bouchard said. Throughout the years, there also have been updates in flooring, curtains, bathrooms, and the investors have literally been hands on in terms of building new wooden bed headboards and shelving units for the rooms. “It’s a never-ending proposition really,” Bouchard said. The Northern Door Inn employs 8-14 staff members, which varies by season, including management, front desk professionals, housekeeping and maintenance. 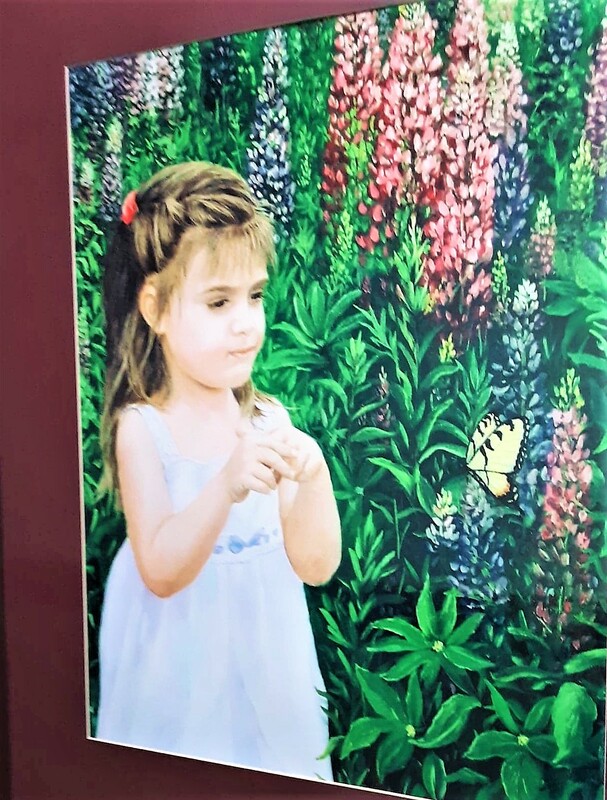 The artwork of Dolores Dumont decorates the halls and rooms of the Northern Door Inn in Fort Kent. 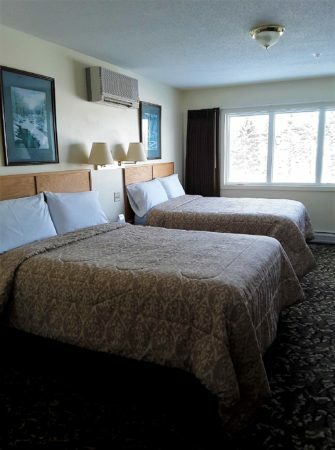 The Northern Door Inn also provides five affordable efficiency apartments, which the owners rent out, often to a revolving door of successful University of Maine at Fort Kent students. “We recognized that some people were looking at longer stays, more than a couple of weeks or whatever; also when things are slow we’ve got a little revenue coming in,” Bouchard said. 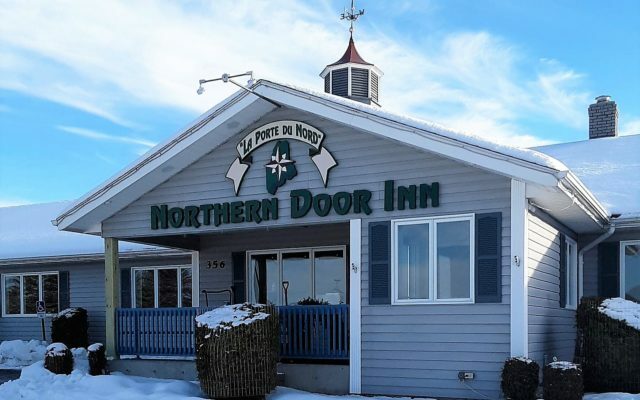 Among those who own the Northern Door Inn are several St. John Valley trucking company owners, an accountant, farmer, retired university administrator, several other local business owners and Bouchard, who is a retired educator. 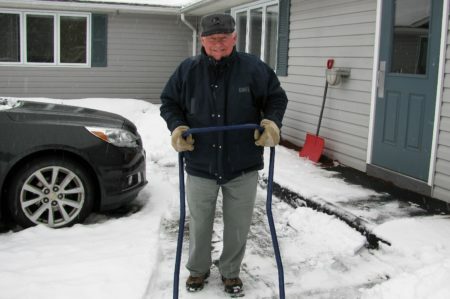 Bouchard is the most visible owner of the motel as he frequently visits the premises to scoop snow or perform whatever other tasks are needed around the establishment. “You know there is something to be said about having the owner be in the store,” he said. Since the business first launched, the number of motel owners has gone down to 13 people, many of whom choose to protect their privacy. But Bouchard said their contribution to the success of the Northern Door Inn, and the positive effect it has on local businesses and families is certainly worth noting.